Kerala Blasters or ATK, Jamshedpur or Bengaluru FC; Who'll have the bragging rights after the end of Indian Super League 2017-18? After making the recently concluded FIFA U-17 World Cup a grand success, Indian Football fraternity is all set to raise their support for the upcoming edition of Indian Super League, scheduled to kick-start on November 17 as defending champions ATK goes head-to-head with their arch-rivals Kerala Blasters in what promises to be an enthralling 90 minutes' party at the YBK. The unequivocal fact that the tournament’s recent three editions had managed to chisel a better outfit in the country has forced the revived edition to act as a catalyst for the rapid development of football in India. The third edition saw a whopping 1,127,673 fans attending to watch the game with an enormous average of 20,136 per game. Even though the total attendance has faced a major cutback, it’s bogus to say the glitz and glamour of ISL is dwindling. Although the number 20,136 sounds pretty good, only a few teams have delivered 20000+ mean attendance. Let’s have a look at how the fans of different franchises welcomed the previous edition of Indian Super League. (The average attendances of last season have been included in brackets). The team hailing from the state of Maharashtra had the least crowd in Indian Super League season 3. Mumbai City FC recorded a massive support of 22000+ ardent fans in the first two editions saw a major decline in its average attendance as Mumbai Football Arena replaced DY Patil stadium as its home ground. However, the impassioned fans of Mumbai produced an enduring figure in the FIFA U-17 World, reconstructing the lost glory of its figures. The Balewadi Stadium, the home ground of the Orange Army which could only afford a meagre 9,110 fans has witnessed an average of 8,588 fans twirling the materials to support the Orange Army is no lousy figure. 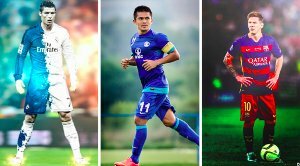 This season, with some impressive signings in Marcelinho, Kean Lewis, Emiliano Alfaro and Marcos Tebar, the Stallions look to be riding the right track and fans would love the creative gameplay at display, thronging the stadiums. The team representing the Mecca of Indian Football, ATK played its home matches at the Rabindra Sarobar Stadium since YBK was under renovation process as part of the then-upcoming World Cup. Despite the capacity of the new home ground being 12,750, only 11,918 fans, on an average, came to the stadium. Contributing a 45% of the total attendance of FIFA World Cup, ATK’s return to the YBK could help them reclaim the lost figures. The Gaurs had pretty good figures last season, making their average toll of 17,661 to support them. Similar to what they did in the ISL 3, the supporters from Goa added yet another dazzling feather in its cap with a deluge of crowds to support the WC teams, thanks to the performance of the authorities there. The team from the capital city, Delhi Dynamos made an average of 17,802 fans to cheer for them, although it is too small considering what the JLN Stadium Delhi could afford. The zealous fans made an average attendance of 50000+ in India’s games at the FIFA U-17 WC, and if they continue their love for the game, Delhi could very well become the Den for the Dynamos. Chennaiyin FC fans, the Super Machans, have always been vocal in supporting the team from the stands since the inception of the ISL. The team has received laudable support from the fans and the former champions of Indian Super League will be looking to reclaim the lost throne in the upcoming edition. With Jeje Lalpekhlua leading the line for the Marina Machans, Chennaiyin FC can certainly give other clubs a run for their money. 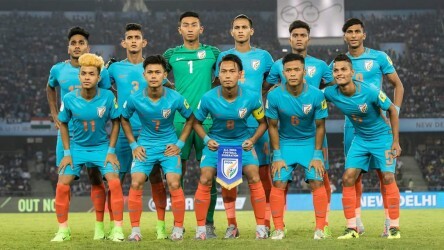 The North Eastern states are unassailably the grass root of Indian Football, considering the dominance of players from their states in the squads. Not only have they produced brilliant players, they have been in the stands to support the beautiful game irrespective of the competitors. North East United FC fans have and had marched to stages to support them the previous season and will continue it as long as the game exists. At the top of the table ranks the team from the God's Own Country, Kerala Blasters, with over 48000+ supporters to galvanize them inside the stadium. The Jawaharlal Nehru Stadium, Kochi is the home ground of the Sachin co-owned ISL outfit. 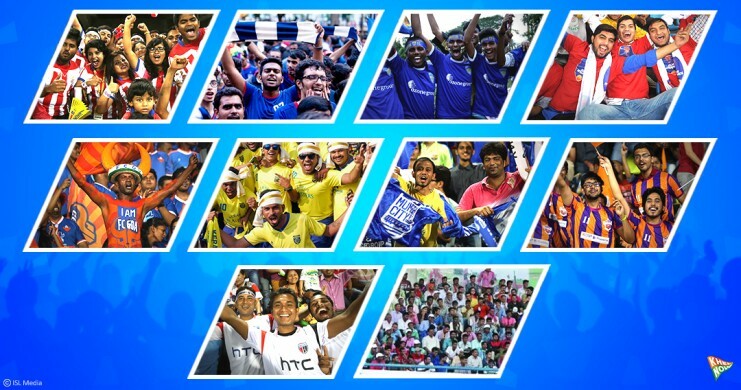 Famed for the presence of avid fans, Kerala Blasters had topped every single list when things come to the fans. 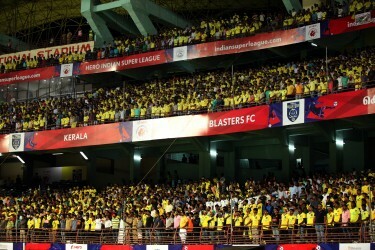 Kerala Blasters have arguably the best support in terms of numbers in the ISL: Check this out! Despite having an enormous group of people to support them, JLN Stadium Kochi failed to fill the spaces inside the stadium during the FIFA U-17 games, giving a slight edge to Kolkata who have again proved why they’re called the Mecca of Indian Football. In the forthcoming edition, Kerala Blasters fans including Manjappada, Viva Blasters, Blasters Army will have to toil to regain as the apex of the Indian Football fraternity. 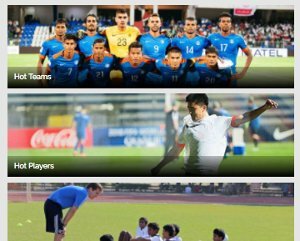 The new entrants into the league, Bengaluru FC come with a lot of deeds to be proud of. The two-time I-league champions is the only Indian team to have represented the nation in the much prestigious AFC Cup finals. West Block Blues: The proudest fanbase (and reasonably so) in India! Along with the glittering past, Bengaluru FC have the support of the ardent West Block Blue's. Known for their perfection in plans, WBB will certainly be a threat for the self-evident dominance of the Kerala Blasters fan groups. Analogous to that of the Bengaluru FC, the team from Jamshedpur is new to the ISL. Owned by TATA, based on Jamshedpur, ISL will be the stage for them to showcase their passion towards football. Their home ground, JRD Tata Sports Complex, is currently under facelift process and the rumour that the renovated stadium could afford 60000 at a moment makes sense that the football fever is all set to take the city.